These small jar candles come in a 5 oz glass container with a lid. 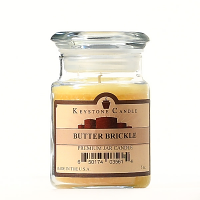 These mini jar candles are perfect to use in smaller rooms like the bathroom or guest bedroom. The smaller surface area of liquid wax means that less fragrance will be exposed to the air than larger diameter candles. Our glass jar candles are nice to use as favors or inexpensive gifts because they burn beautifully, using up all the wax. We also make a white unscented jar candle ideal for use around food or for people with allergies to some fragrances. 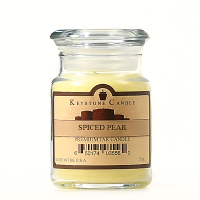 I love all of Keystone Candles! I have never been disappointed I always get my order in a few days and anyone that comes into my home always asks me were you get your candles they look and smell great !